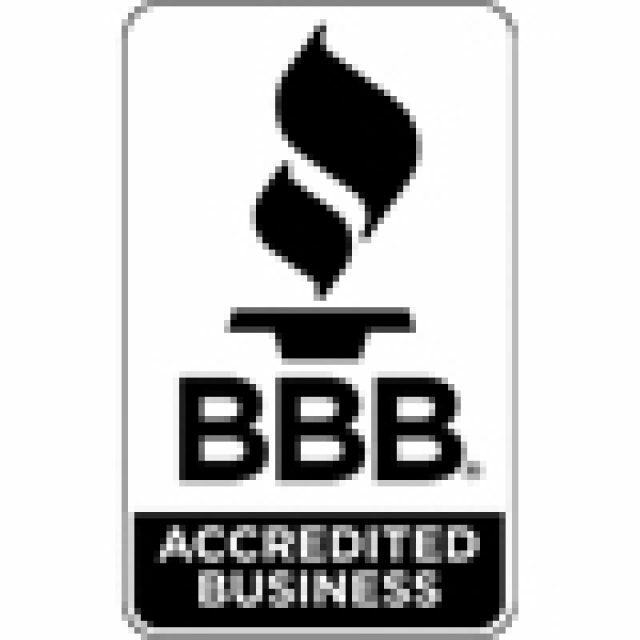 Verified & unsolicited Better Business Bureau reviews. Punctual, no dilly-dally set up. Focused and fun team. Marc and Phyllis compliment each other and create a wonderful experience for all. WOW, Smiley Photo came to our school Halloween party and did an outstanding job! They were very professional, on-time and responsive. I plan to use them for many more events! I just want to thank you again for a truly wonderful experience! You guys were fantastic and everyone LOVED the photo booth! This is definitely an amazing photo booth with high quality 4×6 pictures and tons of space and tons props! I loved how everyone in the booth received a picture as well! You’ve got a great business and can tell how passionate you are about it. Thank you so much! Excellent experience with Smiley Photo Booth! This is the second time my family has used them for a big event and they absolutely do not disappoint. All of our guests had such a great time snapping shots in the booth. They were very nice, very easy to work with. Highly recommended. Smiley Photo Booth did an excellent job for my daughter’s bat mitzvah party in May 2015. They offered great background choices, were speedy and delivered an excellent experience for my guests. Thank you Smiley Photo!! Smiley came to the **** ***** College of Public Affairs ** **** State for our “school-to-college” change, and it was AWESOME! All of the Staff, Faculty, and Students had an AWESOME time changing outfits and making memories. We just got our image discs in the mail, and we can’t wait to use those in other events. We all have our pictures sitting at our desks! 🙂 Thanks! Smiley Photo Booth braved the heat to delight our summer festival guests with some really fun & original keepsake photos! LOVE what these guys do!! Very reasonable price for the level of service provided. Smiley Photo Booth was so easy to work with! From the first call to the final event, they were professional and courteous. They had excellent follow-up and did everything that they promised. It was a fun addition to our son’s bar mitzvah and all of the guests enjoyed the photo booth. We love the disc that they sent us with all of the photos to view and it’s a wonderful keepsake. We were very pleased with Smiley Photo Booth. They were the highlight of the party, delivered a quality experience for all our guests and were very easy to work with. We could not have been more pleased with our decision to use this company! Very Professional! They were on time and very courteous to all if our guests. Would definitely book again. Booth was large to accommodate large groups, they also provided many props. AWESOME people to work with. My husband and I hired Smiley Photo Booth for our wedding on September 12, 2014. All of our guests loved the photo booth as did we. They were very professional and helped everyone with their props and putting the props back on the prop tables. I also think their pricing was great compared to others in the area and what was included (ie props) I couldn’t believe that some other companies charged extra for props. I will definitely recommend Smiley Photo Booth to anyone in the market for renting a photo booth. I was searching for a photo booth for my daughter’s wedding. I came across a few and contacted all. **** ****** from Smiley’s Photo booth was quick and professional to respond. The booking process was very easy. The booth was a huge success! The props were plentiful and fun. **** and ******* were fun and appeared to enjoy our guests as well. Thank you for being a part of our daughter’s special day. We had Smiley Photo Booth at our wedding reception and it was such a hit!! Everyone loved the size of the booth and the friendly attendants. Many of our guests enjoyed the 4 x 6 size pictures and that they print everyone in the picture a copy. The quality of the pictures were fantastic. I could not have wished for anything more. I will use and recommend Smiley Photo Booth for any large occasion. I was very pleased with Smiley Photo Booth! The pictures were excellent quality and bigger than most that I have seen. I would definitely recommend them! **** and hid wife are so friendly and do a great job! The guests from the wedding thought the photo booth was so AWESOME and had many laughs while using it. The pictures were a great favor for them to take home…way better than a candy bar!! I have had the pleasure of two experiences with Smiley Photo Booth, and both have been great ones!! Everyone loves this idea, all the props available, and the instant unlimited 4 X 6 photo collages (personalized to the event also) that they get to take with them. I contacted several photo booths for our school’s 8th grade graduation party, and none were as affordable and inclusive as Smiley. I highly recommend them for fun at any event! I booked Smiley Photo Booth for my daughter’s high school graduation party. I am so glad I booked this company for many reasons. The photographers were extremely friendly and happy, which helped get people interested in taking pictures. The props were phenomenal; there were so many to choose from. I was nervous at first that people wouldn’t use the green screen that much, but I was totally wrong! Everyone thought it was fun and the selection of props allowed people to take a variety of pictures. The photographers were interested in the people and were very kind. I also liked how they gave us a photo album that people signed after they put their picture in. It’s a great memory! The photographers were very cooperative and patient with everyone and helped make the party a great experience for everyone! It was also nice that people could also take the picture they took home. I loved Smiley Photo Booth! They had a photo booth set up at my sisters wedding on Feb 1. From the props to the amazing workers they really made the night a blast! They had just the amount of special touch to make the night even more fun and memorable. I have the pictures we took in the photo booth framed in the house now- I’m sure you will too if you pick them to provide you with a photo booth. Choose this company!! I promise you won’t be let down. This photo booth was a huge hit at our wedding!!! 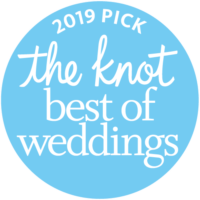 I am so glad that I chose this photo booth, for 6 months I searched prices, sizes , packagaes and was not finding any that could hold my bridal party of 16!!! A friend suggested Smiley photo booth to me, as I first started to look into them I thought I never even heard of them! As I read what they offered I decided I would go ahead and book them, I am so glad that i did!! This photo booth all of us, we had so many fun pictures and we got to photo bomb pictures all night!!! Each person got a 4 by 6 photo to take home with them of their picture and I got one in a album! The whole night at the wedding this photo booth was the talk of the town. everyone thought it was such a good idea and had so much fun with it. Marc had so many cool fun props, and they were not cheap or cheesy, they were all in good shape and made the picture so much more fun! The next day I got a chance to go through my album of all of my guest pictures, and my husband and I had a blast of laughs they were so funny! I had people call me and tell me how much fun and how much they loved their pictures, I immediately started seeing all my friends and family changing their profile pictures to their picture from smiley photo booth!! If you want a great time, a great add on to your special night, a great size booth, great props, great owners I HIGHLY RECOMMEND SMILEY PHOTO BOOTH!!!!! THEY ROCK!!!!! Smiley Photo Booth is the best out there! They have a great variety of props, the booth was spacious and could fit large groups of people and guests at our wedding had a blast dressing up! And the 4×6 prints are a great keepsake! A must for any party! The owner, ****, was very easy to communicate with and also very accomodating to special requests.